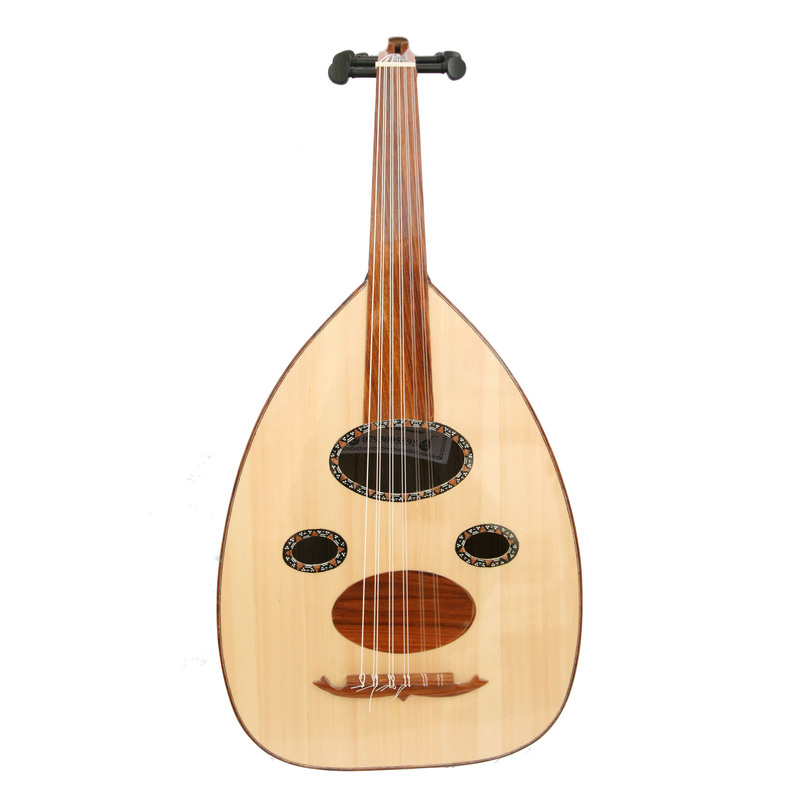 So, time has come and you’ve decided you want to make your dream come true: To play the oud. Munir Bashir, is playing in your headphones and Abd El Wahab is flowing in your blood. It is time to find an Oud that is perfect for you. Before we start, take a big breath, there’s a lot of of ouds out there, and we will try to show you the do’s and don’t of choosing an Oud. Generally speaking, there are 2 kinds of ouds. Arabic and turkish. In these families there are sub-categories. For instance, the Egyptian oud, the Morrocan oud the and the Syrian Oud are all arabic ouds. The Armenian and the Persian oud are more similiar to the Turkish oud. The difference express it self in the physical size, the type of material that are used and the inner angles. This is most romantic oud. The Egyptian oud has warm, heavy and thick timbre. The low frequencies are working extra hours here, as you can here at the amazing recordings of Farid El Atrash. 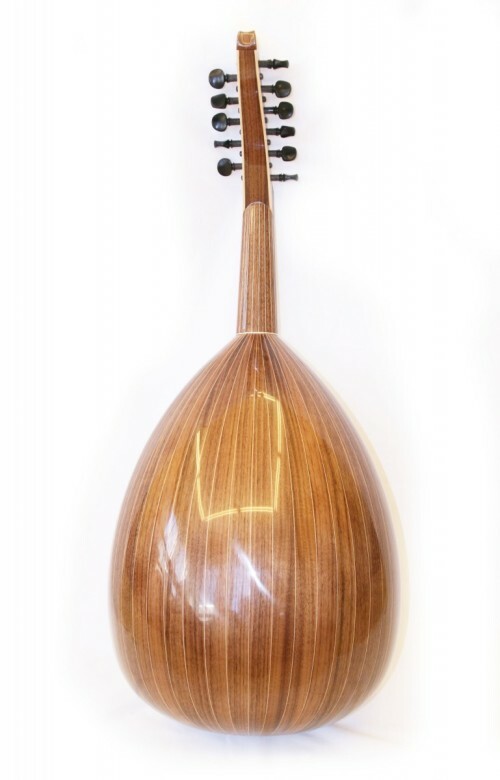 Construction speaking, the egyptian oud will be commonly decorated with mother of pearl on the face of the instrument, and with a rather flat bottom. 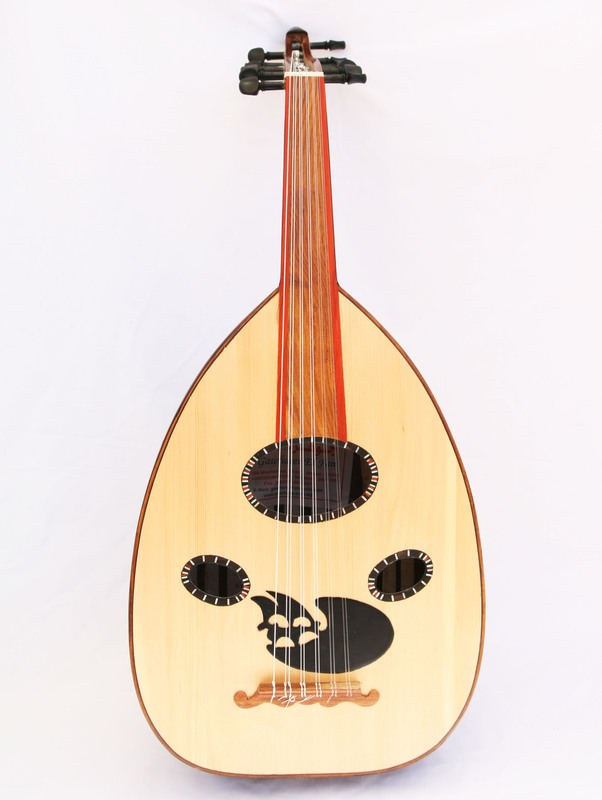 The Egyptian oud is also the largest at its size among the other ouds. The front is usually made from spruce. The syrian oud is probably the most popular and in demand nowadays.Interestingly, it combines between the turkish and the Arabic sound, and when looking at the map – it is well understood. Also the shape of resonating box, lies between the Turkish to the Arabic, with a slightly gentle shape and medium size. The syrian makers are known for the last decade in their meticulous traditional and high quality of work. Today it is known that if you have a syrian oud in you hands, chances are that it is an average instrument or better. Speaking about Syrian oud makers, we must mention ‘Nahat’ – the great maker of the Syrian world, and of the Arabic world in general. 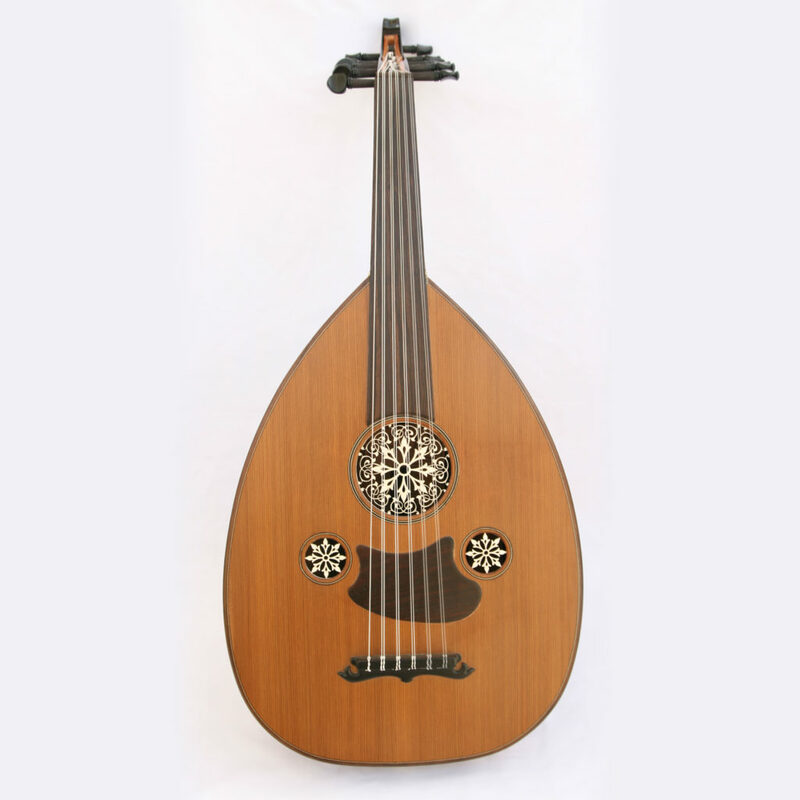 Today, a real Nahat oud starts at 5000$, and older instruments much more. Today you can find ouds from Ibrahim Sukar, Zeryab and more. All of them are good instrument that produce good and pleasant sound. Comparing it the the Egyptian sound, the Syrian sound is characterized by more of a stiff dry timbre. With that being said, many are looking for that very sound, that is somewhat flat. Iraqi players for example, often like and look for that Syrian oud’s sound. 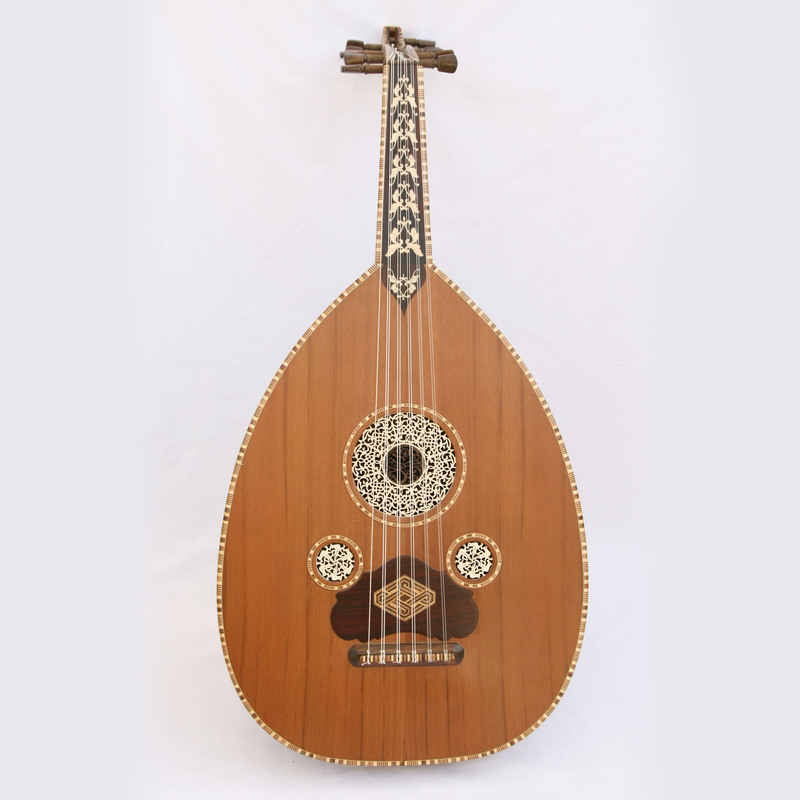 The Turkish oud leaves a trail of dust on its competitors when it comes to the quality of the hand work. The finishing work that are seen on Turkish ouds, are unique and are in the highest quality. Makers like Faruk Turunz, Veysel and Baris are known to be the best and most famous from the many makers that compete on the crown. The other side of the coin is, well, they are rather expensive – starting at 2500$ to 5000$. We are selling Kamil Gul‘s ouds for a very attractive price, and by many – they are considered an amazing value for money. Although not the most expansive, they are definitely at a very high level of accuracy and sound. The sound of the Turkish oud is defined as the most gentle of all of them. While building it, they are being designed with a very low string action, 2mm-3mm (The distance between the strings and the neck at the body/neck joint). This feature, behinds giving high comfort of playing it gives higher accuracy to the player which is so in need in Turkish music. As a result of the low string action, a phenomenon that is caused is some kind of ‘Buzz’ sound. It is important to know it while choosing a Turkish oud, as this is a integral part of the sound. These ouds are at rare. This is because the infrastructure and the long way these instruments need to make to get to around the world. Even though, here and there you can spot them. A modern luthier that operates in Casablanca are the Belhaiba family. They build ouds at the highest level, and this instruments are sold very well all around the globe. The family have long history with instrument making, and the special secrets have passed from father to son for generations. Today working there Hassan and Jamal. We also stock Moroccan ouds, from time to time, so give it a check.